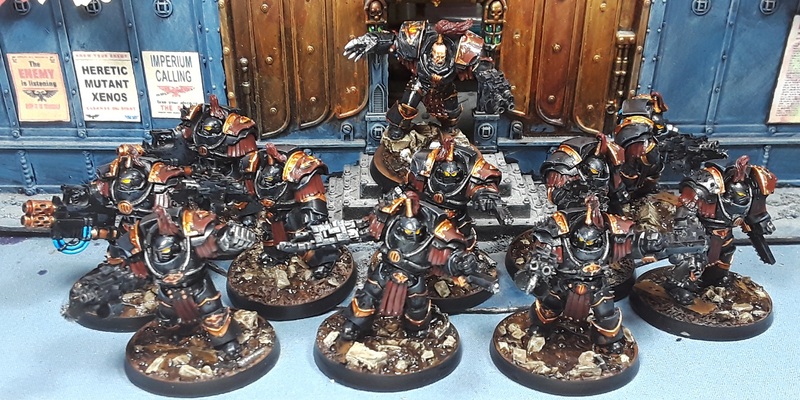 Mordian 7th Regiment: Heresy Era Sons of Horus - Abaddon and Justaerin complete! 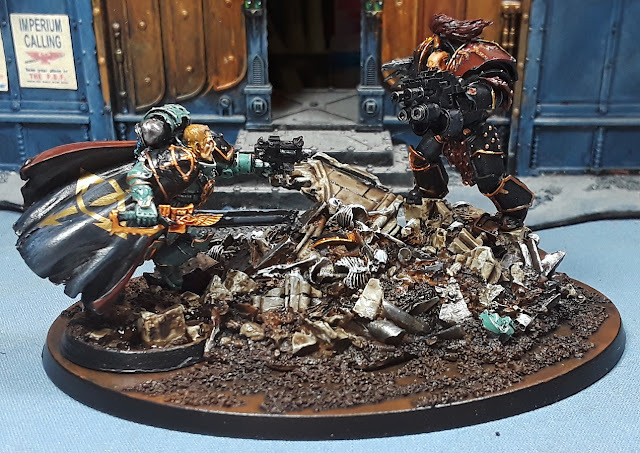 Heresy Era Sons of Horus - Abaddon and Justaerin complete! Took advantage of a couple nice days over the weekend to finish off some models and make a start on some others! First up is the rather awesome Abaddon vs. Loken vignette - This was one of the models that I have always wanted ever since it was released and it was an absolute blast to build and paint! Rather pleased with how well the Secret Weapon bases match up with the FW set, and am looking forward to painting up Horus and his rather cool architectural base soon! "Give up, AnnLoken! I have the high ground!" ...I'll show myself out. The big A (hole) himself, Abaddon the ever-so-slightly myopic, apparently. Might have to go back in and fix that left eye. The Justaerin are some very cool models, and really show off the brutalist nature of the Sons of Horus. 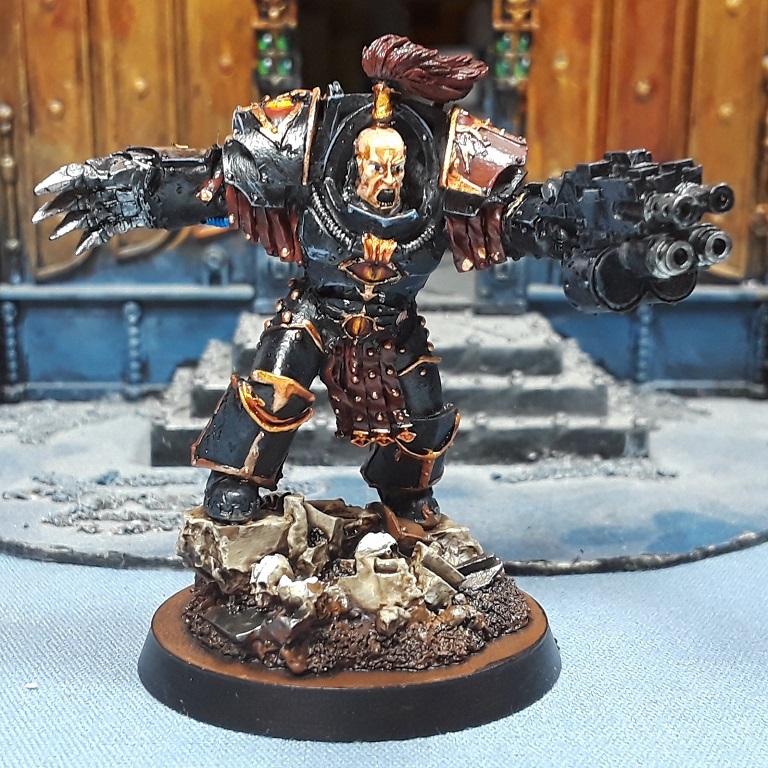 While the power axes that come in the kit are undeniably cool, I prefer my terminators to carry chainfists and power fists. 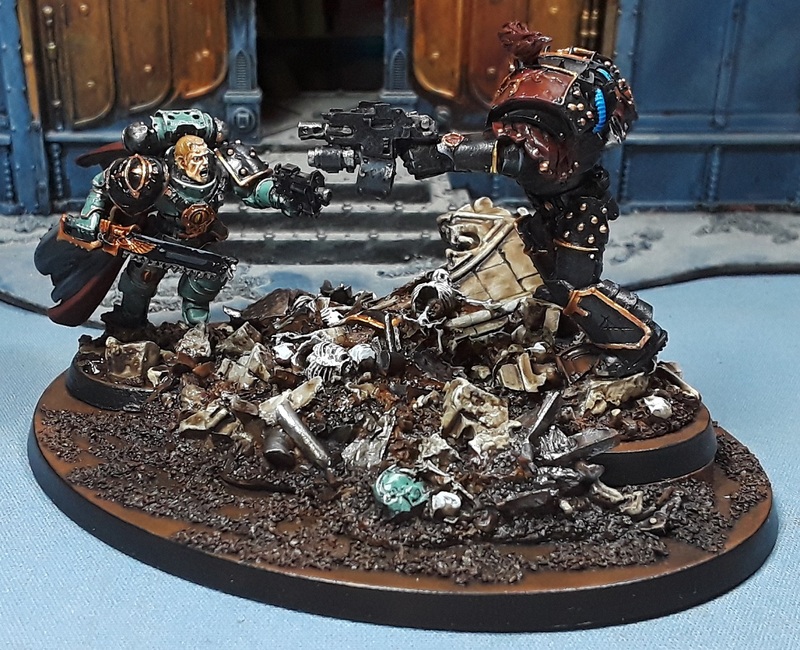 It's hard to argue with a terminator toting a multi-melta, and I figured the anti-tank nature of the weapon was a natural fit with all the other armorbane chainfists! 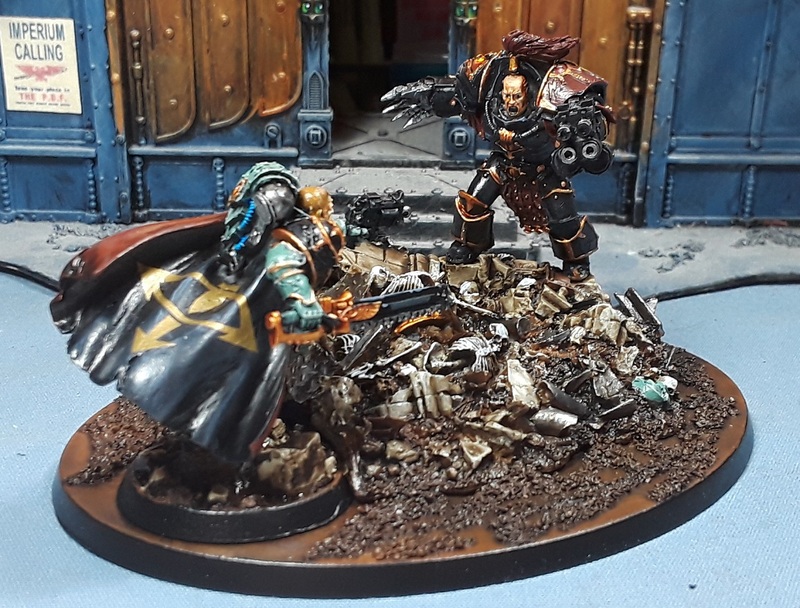 In non-heresy news I have put together a couple Chimeras as a small commission for the fine fellow who ended up with a goodly chunk of the Mordian 7th, the inestimable Zzzzzz of Devos IV. It'll be a nice break from painting the black and red of the Justaerin to paint up some guard vehicles in... Black and red. Argh! They do look like truly brutal fighters, ready to wade into whatever is thrown at them and drag it down. Good luck with the commission. ooh! are those the blood and skulls chimera bitz? @Rory Priest: Cheers, bud! Going to be interesting to go back to the old guard for a bit! @Da Masta Cheef: Indeed - The "Capricorn" kit, it's really rather cool! Ooh lovely, love the base! Great job mate. It’s a great model and you’ve done it justice. Black and Red ! More Black and Red ! And then I thought of all those crimson and gold K sunz. And loving the Abba Don Kinobi and Lokken. Outstanding. It all looks brilliant man!